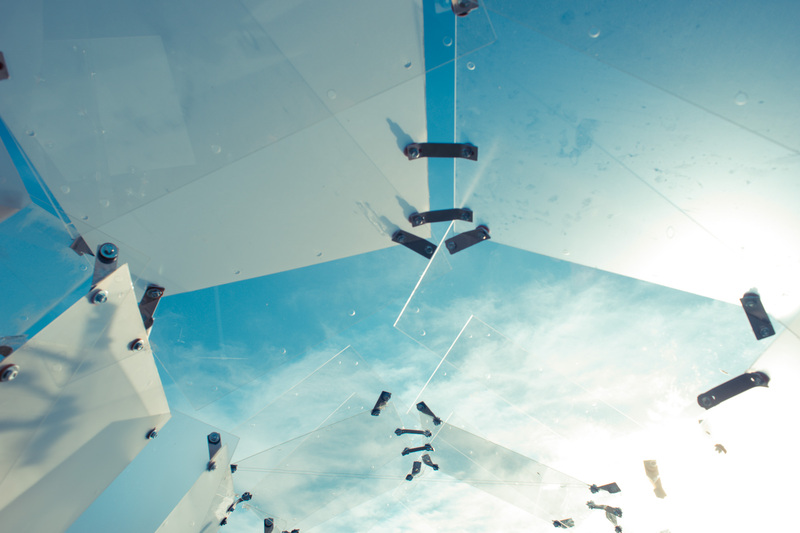 The pavilion’s roughly 100 square panels were held together by aluminum straps and rubber hose gaskets, their transparency subtly changing with different types of film. 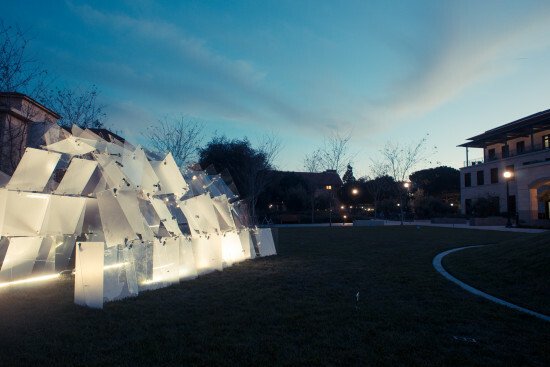 The vaulted passage, located on the school’s Science and Engineering Quad, was lit by LED lights powered by a car battery. 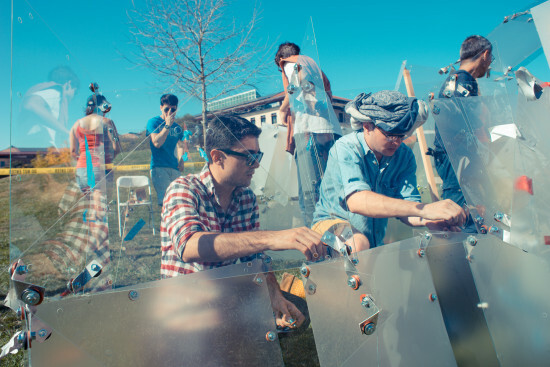 Choe’s goal, besides creating the glass palace, was to “create a class that was very collaborative.” She succeeded, drawing together students from the school’s architecture, engineering, and product design departments. Each specialty’s strength came out in the process, with structural engineers taking the lead on prototyping, architects taking the lead in conceptual design, and so on. “The product was quite different than if we had just had architecture students,” said Choe.